At Seb & Charlie HQ our work is very varied but helping start up businesses are a favourite! We were recommended by PR extraordinaire Ellie MacDonald (of the Leeds based agency, MacComms) to Carolyn Simms; a highly experienced interior designer. Carolyn has worked in the contract furnishing industry for over twenty years and by combining the knowledge she has gained, along with offering quirky interior furnishings which she has sourced along the way, she has created the business called 'Re-Styled'. The brief was to create an eye catching brand logo & sub-brand logos that combined a sense of interior style with professional credibility and a contemporary and bold colour board. We researched into competitors, created concepts and the final design incorporates a strong colour scheme with mustard, magenta, turquoise and olive green across each of the four sections of the business. Re-Styled: HOME is the main section of the business: A property refurbishment and specification service offering must have interior accent pieces. Re-Styled: RENOVATIONS – A project management and specification service from full property refurbishments through to individual rooms and extensions. 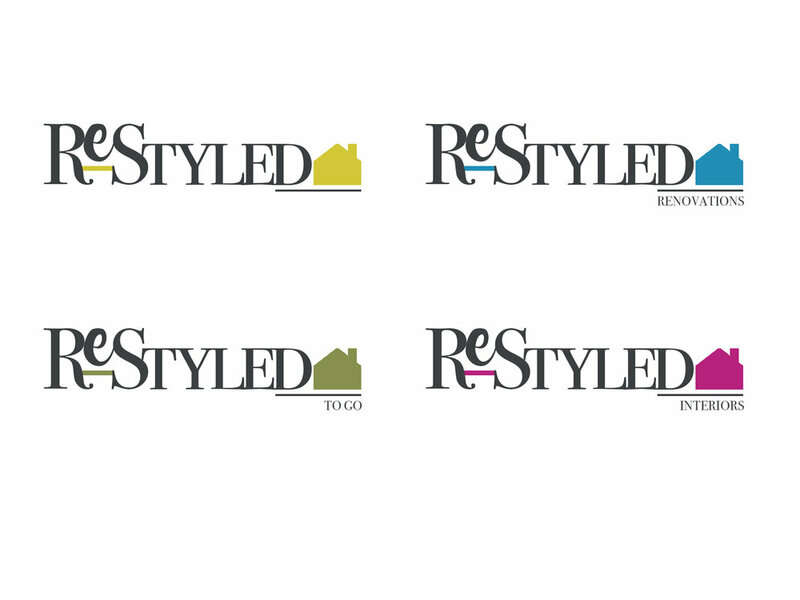 Re-Styled: INTERIORS - Interior specification service providing advice on colour, finishes, tiling, flooring and lighting. Re-Styled: TO GO – Offering quirky products to buy to enhance your home. We are excited about the brand and wish Carolyn & Re-Styled every success! It was a pleasure to work on the designs and hope we can offer our help on future projects.